Have you heard the term “transferable skills”? It often comes up in the interview process but what exactly are they, and how can they help you get a job with no experience? Have you ever thought this? “I can’t get a job because I have no experience. And I can’t get experience because I don’t have a job!” It’s the old Catch-22 of job seeking. The good news is, all of us have transferable skills (also known as soft skills). Even if we have limited (or even no) work experience, we have gone through life picking up certain skills which are useful in the workplace – think communication, team work, the ability to listen, understanding new technologies – all of these are skills you may possess that can (and should) go on your resume. So how do you know which skills you have, that could transfer into the skills employers want? To get a job with no experience (that you want! ), you should demonstrate that you have knowledge that could be useful to employers. Many people get hired for things they can contribute to an organisation that may not have been listed on the original job specification. Things such as “culture fit”, ethics, enthusiasm and keenness to grow into a role. These “hidden skills” are the transferable skills that you may possess. Knowing how to differentiate yourself with this soft skill set may help you in the interview process as these skills can go on your resume in the place of official training, experience and qualifications. This is relevant if you’re new to the job market (e.g. a school or college/university graduate) or if you’re changing careers. You already have a wealth of experience and skills that you've developed in your lifetime that can get you the job that you want. However, you will only be able to secure the job if you identify and successfully pitch your soft skills to hiring managers and recruiters. Want to know what transferable skills you have? 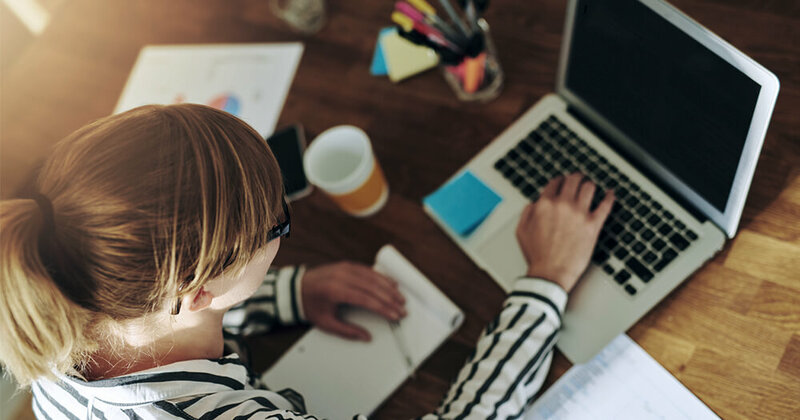 Check out our downloadable Transferable Skills Checklist at the end of this article. Top tip: Research the business that has listed the job application. Don’t send a resume without doing your research on the business you're interviewing with and its hiring managers. If you really want to get the job, you should appeal to the hiring manager and the key stakeholders within the business. Identifying the details of the job specification and seeing any skills gaps that the organisation might require. Researching the activities of the business from their social media announcements or media features. Researching the backgrounds of the hiring managers and the business’s key stakeholders based on their skills and interests, so you can easily build rapport with them when you communicate. Demonstrating your value by pitching your skills. To demonstrate your value, you should identify the skills gap between yourself and the organisation. Then, you can pitch yourself as the missing piece that fits perfectly into their business. Your soft skill set needs to appeal to the hiring manager, recruiter or organisation’s desires. Your relevant transferable skill + relevant organisation’s skills gap = Your instant value to the organisation. In this way, you have the potential to sell yourself as the candidate they can't refuse, by demonstrating the value your strengths can add to the organisation. Make sure you know their skills gap(s) and then deliberately pitch your skills so that they will recognise your instant value to the business. 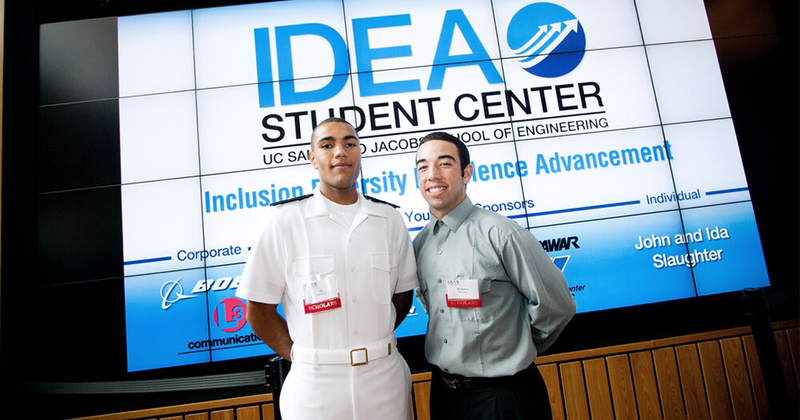 IDEA Scholars A.J. Gonzalez and Nicholas Montoya pose at the IDEA Student Center dedication. Nicholas Montoya was a mechanical engineering student with limited experience and average grades. He wanted to land his dream job at Northrop Grumman Corporation, a leading global security company in cybersecurity that is a premium employer of engineering graduates. In reality, Nicholas didn’t have that much work experience; he had not had a full-time engineering position but he was keen, had spent time researching the industry, had enthusiasm and dedication. He realised that many of his current competencies could be useful in a job role – so he pitched himself directly to people who could get him a job. Nicholas published his portfolio online and showcased his engineering creativity with videos on YouTube. Then, he went one step further and pitched himself to recruiters with a digital portfolio on a tablet at a recruitment fair. Recruiters and employers recognised that his creativity and interpersonal skills could be transferred to a range of engineering roles, and not long afterwards, he was getting calls to interview with Boeing, Lockheed Martin and his dream employers, Northrop Grumman. Nicholas leveraged his transferable skills and it worked for him. Could you do the same? Get started by downloading Open Colleges Careers’ Transferable Skills Worksheet and find out how many skills you have that could land you the job you want.